MRI systems, CT scanners, C-Arms, and all other radiology systems are essential for diagnosing the full gambit of medical conditions. These systems are both large and expensive, and obtaining them is sometimes cost-prohibitive, especially for smaller hospitals and medical clinics. 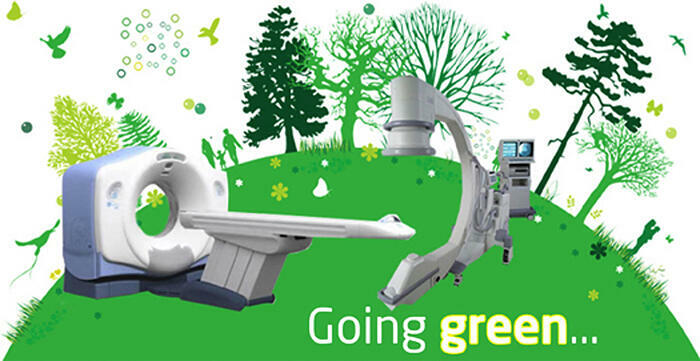 Buying used and refurbished medical imaging equipment doesn't only save money, but it also saves the environment by keeping these devices from going into landfills. Where does used medical equipment come from? Large, well-funded hospitals regularly upgrade their equipment to stay on top of the latest technology. This means that their old MRI and CT scanners and other equipment need to find a new home or be sent for disposal. Very often this medical imaging equipment is only a few years old and was gently used, with many years of service life left. These systems are being replaced not because they are malfunctioning, but because a newer model has been released. This used medical equipment can be sold in as-is or refurbished condition. Refurbished equipment can look and function as good as new. 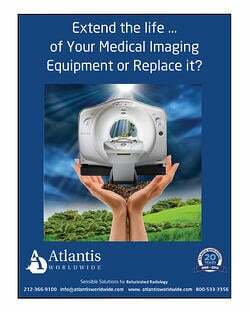 Companies, such as Atlantis Worldwide, that specialize in equipment refurbishment offer guarantees on the systems that they sell, ensuring that you get a quality system that will serve your facility for years to come. If medical equipment cannot be resold, it must be disassembled and either sold as scrap or sent to landfills. With a typical MRI machine weighing in at over 20,000 lbs. this is a lot of material to dispose of. 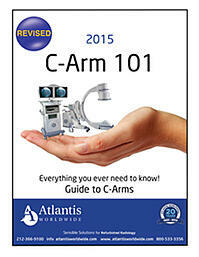 While many components of MRI machines, CT scanners, C-Arms, and Mammography machines can be sold as scrap metal and be recycled, often the marketplace does not make this cost-effective, leaving these machines to clutter landfills. Disposal of medical equipment is regulated by the state, and disposal guidelines vary. Any potentially harmful components must be handled with care and shipped to specialized disposal locations, because of their risk to the environment. Why is buying used equipment beneficial? 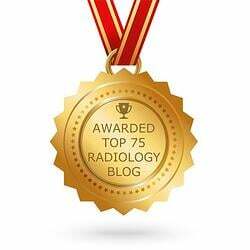 Buying used radiology equipment can save your hospital or medical facility a lot of money. Used systems can be bought for as little as 30-70% off the original value. For many smaller healthcare facilities, this cost difference can mean the difference between offering its patients comprehensive diagnostic services and having to send them to larger facilities. Buying used equipment is a cost-effective means for improving patient care. Facilities buying used equipment can also feel good about their contribution to the environment. Reusing equipment reduces waste, and ensures that each of these carefully constructed devices will serve out its full lifespan. This cuts back on manufacturing byproducts and waste, transportation impacts, and the potential environmental ramifications of shipping potentially hazardous equipment, such as the large magnet in the MRI systems or the oil in the transformers of a CT scanner. If you are considering expanding your range of radiology equipment, buying a used device may be a good option for you. These systems can give you many years of reliable service at a fraction of the cost of buying new. At the same time, you will be contributing to protecting the environment by keeping its components out of landfills and prolonging the life of these specialized imaging devices. Please contact Alex Silbergleit at 212-366-9100 or email alex@atlantisworldwide.com for more information.